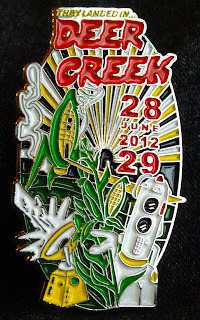 The 3rd pin in my 2012 poster/pin series, the Deer Creek pin is a 1.5 inch high soft enamel style on silver metal. Commemorating the great 2 night run from last year, the edition is LE 100 to match the run of posters. Only 80 are being made available for sale online, and these will never be remade. Jiggs wrote: The 3rd pin in my 2012 poster/pin series, the Deer Creek pin is a 1.5 inch high soft enamel style on silver metal. Commemorating the great 2 night run Paris shuttle transportation from last year, the edition is LE 100 to match the run of posters. Only 80 are being made available for sale online, and these will never be remade.